When you are a book lover…the books become something you live and breathe and the authors of your favorite ones are nothing short of rock-stars. 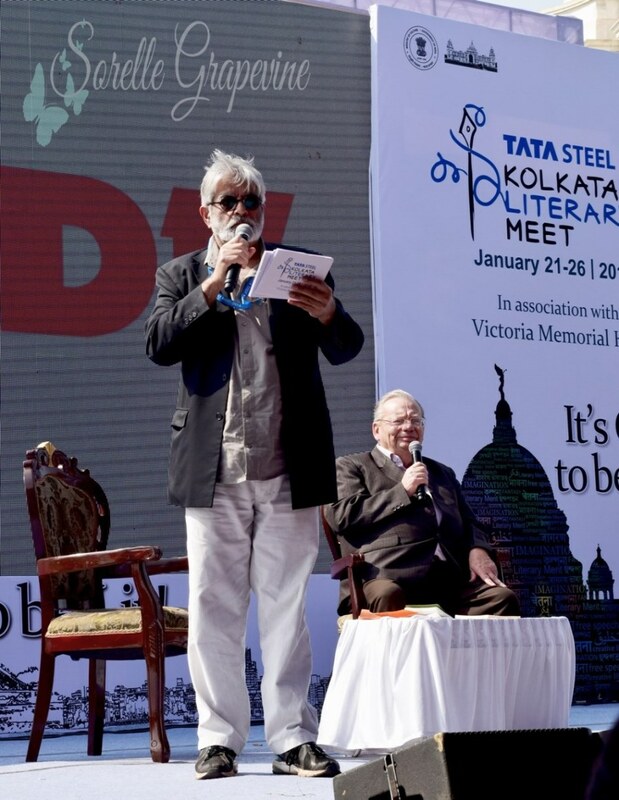 I had a complete fan girl moment today when I went to attend the #TataSteelKalam #KolLitMeet. 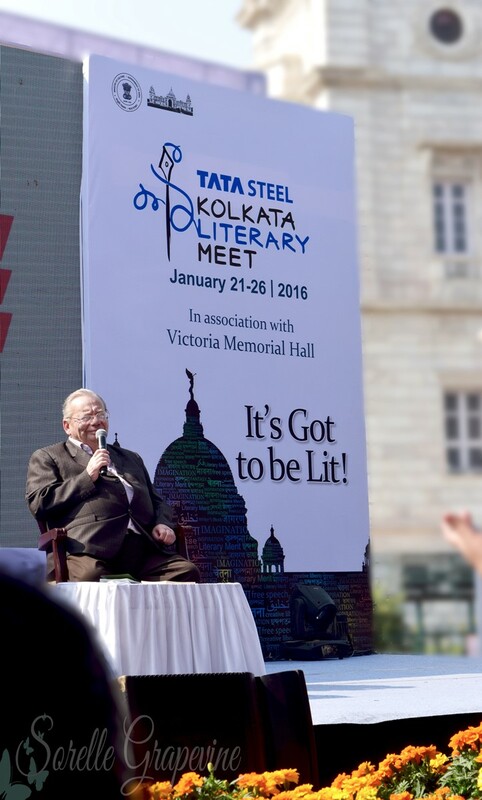 In anticipation of hearing one of my favorite childhood authors speak aka Mr. Ruskin Bond, I arrived much ahead in time and grabbed a reserved seat not knowing that he was sitting a mere two seats away from me! Imagine my utter surprise when he made his way to the stage in due time. Ah! What joy!!! Now if I could only meet Enid Blyton and Carolyn Keene like this my childhood fantasy would be complete. 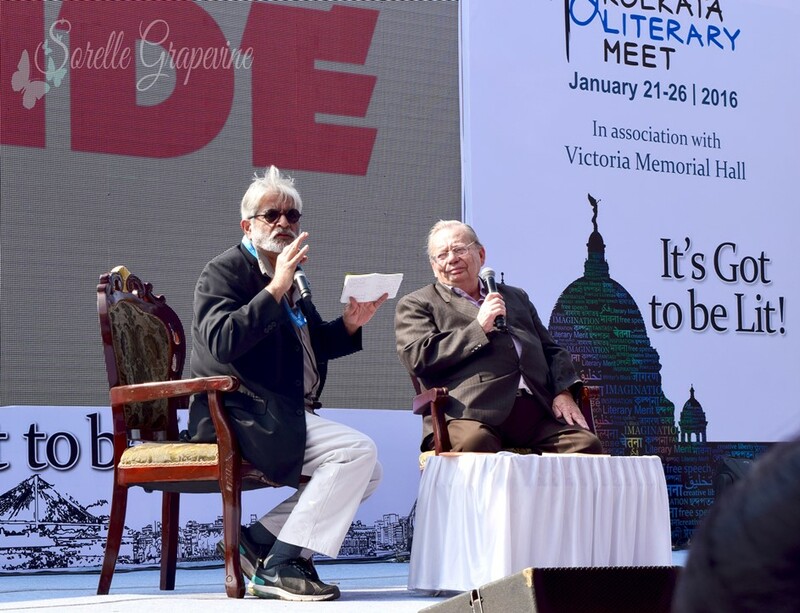 Ruskin Bond in conversation with Jayant Kripalani was going to touch upon the topic of “Reading and a Child’s Imagination”. The arena was packed with ‘young” adults each one with sparkling eyes gazing at one of their favorite authors. As I quickly scanned the crowd I failed to see any kids in the audience. Is this what they mean by a generation gap? Was there only a particular era when his stories were popular? Has the magic been lost on the current generation? These were some of the thoughts that whizzed in my head as I turned back to listen what was going on at the podium. Oh how wrong I was! Mr. Kripalani opened the floor, from the get go to, questions ie asked by rather quizzed by him on trivia about Ruskin Bond.Though there was a fervor among the adults but turns out the kids were not far behind. The scene changed shortly and now it was the kids who were asking questions about their favorite stories. Is Uncle Ken a real person (yes)? Did your grandfather really own a zoo (yes)? What happened to your friend who destroyed your manuscript? Was he real? As I sat there listening to the banter I realized how his stories have transcended time and even generations. How it is still able to connect with kids. The reason behind this came forth in one of the questions asked…Which child do you keep in mind while writing the stories? Who do you write them for? Mr. Bond replied “myself”. When one is true to themselves and write stories which are real then one can touch another person and form a connection irrespective of anything. Such is the magic of a good story. From his books to the movies made on them to his childhood and even his poetry, Ruskin Bond answered everything with a smile on his face and a laugh. You could see the adorable child in him. Jayant Kripalani kept things lively and fun from the questions he asked the audience to the conversation he had with the author and even the friendly jibes he made. The audience was kept laughing and completely engaged. As the conversation drew to a close Mr. Bond had a few words of advice for aspiring writers. He said that there was no fine line between writing for kids or for adults…It depends on the person who is reading it and how they interpret it. A child who is very adult-like could be reading or an adult who is very childlike. The main thing to be kept in mind is to bring out the imagination or the magic of the story and to keep the real issues subtle. The beliefs and values of an author will always come forth and hence their treatment of real issues will become a part of their stories.